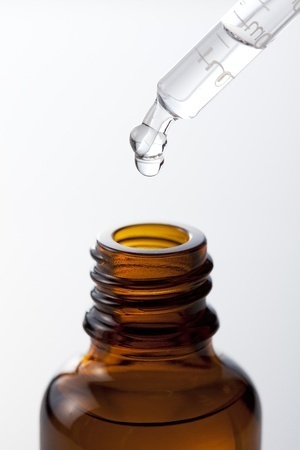 Some colloidal silver vendors claim colloidal silver is safe at any dosage. But they have absolutely no credible evidence whatsoever with which to back up that claim. All nutrients can cause serious side effects in the human body when ingested at excessive levels for prolonged periods of time. There are no exceptions to this rule. Therefore, it is imperative for nutritional supplement users to understand the safe, sane and responsible usage of any nutritional supplement – including colloidal silver -- so obvious risks can be avoided while the full healthful benefits of the nutritional supplement are enjoyed. · Excessive intake of the mineral iron can, over time, result in cirrhosis of the liver and heart failure. · Excessive intake of calcium can, over time, result in kidney malfunction, calcification of soft tissue within the body, cellular toxicity and impaired immune function. · Excessive intake Vitamin A can, over time, result in muscle pain, fatigue, irritability, depression, schizophrenia, fever, liver damage and anemia. I could go on and on, listing the potential and very real side effects of nutrient after nutrient, when used in excessive quantities over prolonged periods. What can we say, then, about the risk of side effects? Do we stop using nutritional supplements altogether, simply because there are risks involved in taking excessive amounts for prolonged periods of time? Obviously, considering the well-known healthful benefits of such nutrients to the human body, it is imperative to understand the proper dosage levels for enjoying their healthful benefits while avoiding the pitfalls of excessive ingestion. This is as true for colloidal silver as it is for any nutritional supplement. With that in mind, let’s take a look at the risk of argyria (i.e., skin graying) the most well-known – albeit extremely rare –- risk of excessive colloidal silver usage. In other words, according to these early researchers, except for the possibility of skin graying there are very few unwanted side effects from silver usage. After studying silver in the water supply, the Environmental Protection Agency (EPA) also concluded that risk of any kind of toxicity from silver intake is considered to be very low, and that argyria (skin graying) is the main potential risk of excessive ingestion of silver. “The critical effect in humans ingesting silver is argyria, a medically benign but permanent bluish-gray discoloration of the skin. Argyria results from the deposition of silver in the dermis and also from silver-induced production of melanin. Although silver has been shown to be uniformly deposited in exposed and unexposed areas, the increased pigmentation becomes more pronounced in areas exposed to sunlight due to photoactivated reduction of the metal. Although the deposition of silver is permanent, it is not associated with any adverse health effects. No pathologic changes or inflammatory reactions have been shown to result from silver deposition. Silver compounds have been employed for medical uses for centuries. In the nineteenth and early twentieth centuries, silver arsphenamine was used in the treatment of syphillis; more recently it has been used as an astringent in topical preparations. In other words, in those rare instances when silver is ingested in large enough quantities and for long enough time periods to cause argyria, the condition by itself is not associated with actual risks to human health. The skin graying is considered to be strictly cosmetic. Again, the main risk of excessive silver consumption over prolonged periods of time is argyria (skin graying), and argyria is not associated with any other adverse health effects. If you think about it, this makes silver one of the safest of all nutritional supplements from a toxicological point of view! According to these experts, the main side effect of taking excessive amounts is strictly cosmetic, rather than detrimental to one’s health and well-being. -- so it is imperative to determine the proper daily dosage of colloidal silver necessary to enjoy its immune-boosting and infection-fighting benefits while avoiding the one potential side effect of excessive usage, argyria. To that end, through its “Integrated Risk Information System” (IRIS), the EPA has conducted a complete and comprehensive analysis of silver toxicity in the body. In this risk assessment document, they have referenced substantial published medical and scientific studies, and they’ve commented on the conclusions drawn from those studies, in relation to potential risks of toxicity from the ingestion of silver. This EPA document establishes the minimum amount of silver required via ingestion for a person to be placed at risk for argyria. It also gives conservative users of oral silver products a definitive answer to the question: How much can be safely consumed? Basically, the smallest amount of silver known to cause argyria in adults, from the use of any silver compound (including silver salts) is 900 mg of silver taken orally in one year. According to the medical literature and anecdotal reports, other people have taken much more silver than that, orally or intravenously, and for longer periods of time, without contracting argyria. But in calculating their official daily dietary exposure levels for silver, the EPA very conservatively chose to use the smallest known amount of silver that has ever caused argyria in an adult human being over a given period of time. According to the book, Colloidal Silver: A Literature Review: Medical Uses, Toxicology & Manufacture by John Hill, D.C., in order to reach an intake level of 900 mg. of silver over a year, an individual would have to consume a whopping three hundred and eighty 8 oz. bottles of 10 PPM colloidal silver product during the course of the year. That would be the equivalent of drinking two typical four ounce bottles of colloidal silver a day, from a health food store. Since suggested adult daily dosage on most commercial colloidal silver products is about 1 teaspoon daily, this means that an individual would have to consume nearly 48 times the normal adult dosage, each and every day for a year to reach the lowest level of silver intake ever known to cause argyria in an adult. Indeed, EPA standards for the amount of silver that can be safely consumed in drinking water is .005 milligrams per kilogram of body weight per day (EPA RED document page 2, 4th paragraph). According to some colloidal silver advocates, this means that a normal sized adult could safely consume approximately one ounce (6 tsp) of 10 ppm colloidal silver every day for a 72 year life span and still be within the safe limits as defined by the EPA. However, experts have pointed out that the .005 milligrams per kilogram of body weight claimed in the EPA RED document to be a safe level of daily silver intake includes silver from all sources, including air, water and food. In other words, if you had significant amounts of mineral silver in your local water supply, or in the foods you eat, or even in the air you breath (for example, if there were a silver smelting plant nearby) your daily colloidal silver dosage would have to be adjusted downward correspondingly. Since it is nearly impossible to tell how much silver might be in your local water supply, food supply, or air, this has to be estimated. Fortunately, a company called Invision International Health Solutions has analyzed the EPA's figures, and has determined that they can be further broken down into "drops per day" formula. They’ve determined how to calculate the amount of colloidal silver you can take daily, based upon your body weight, using the EPA’s own figures. And then they’ve adjusted those figures to take into account the average amount of mineral silver you might also be ingesting through sources like water, food and air. Important Note and Disclaimer: The contents of this Ezine have not been evaluated by the Food and Drug Administration. Information conveyed herein is from sources deemed to be accurate and reliable, but no guarantee can be made in regards to the accuracy and reliability thereof. The author, Steve Barwick, is a natural health journalist with over 30 years of experience writing professionally about natural health topics. He is not a doctor. Therefore, nothing stated in this Ezine should be construed as prescriptive in nature, nor is any part of this Ezine meant to be considered a substitute for professional medical advice. Nothing reported herein is intended to diagnose, treat, cure or prevent any disease. The author is simply reporting what he has learned during the past 17 years of journalistic research into colloidal silver and its usage. Therefore, the information and data presented should be considered for informational purposes only, and approached with caution. Readers should verify for themselves, and to their own satisfaction, from other knowledgeable sources such as their doctor, the accuracy and reliability of all reports, ideas, conclusions, comments and opinions stated herein. All important health care decisions should be made under the guidance and direction of a legitimate, knowledgeable and experienced health care professional. Readers are solely responsible for their choices. The author and publisher disclaim responsibility or liability for any loss or hardship that may be incurred as a result of the use or application of any information included in this Ezine.